At issue in the Court’s September 22, 2016 decision in United States v. Harris, No. 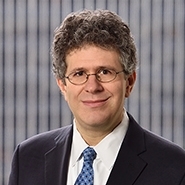 15-1774 (Raggi, J., joined by Judges Newman and Calabresi) is a clever defendant’s embrace of the disjunctive in Section 3583 in urging that the statute governing revocation of supervised release permits a violation of release conditions to serve as the basis to revoke “or” modify supervision – but not both. The Court did not find the defendant’s arguments quite so clever, however, and affirmed the revocation of his supervised release. The Court also found no abuse of discretion in the district court’s decision to admit a non-testifying witness’s out-of-court-statements into evidence at the revocation proceedings in light of the witness’s stated fear that she would be retaliated against for testifying. It is far from certain that the panel would have condoned admission of this hearsay had these been criminal proceedings; however, there is no constitutional right of confrontation in revocation proceedings, and the panel found sufficient good cause warrant abridgment of the more limited confrontation rights afforded to revocation defendants under the Federal Rules. Defendant Troy Harris committed several violations of his supervision conditions during the supervision component of a federal sentence for narcotics trafficking. First, a woman filed a police complaint alleging Harris had punched her in the face after she confronted him for slapping her rear end. Although the alleged offense qualified as third-degree assault, the victim declined to press charges, and the Probation Office therefore recommended that no action be taken with respect to Harris’ supervision. Shortly thereafter, however, Harris was spotted selling crack cocaine and arrested for third-degree criminal sale of a controlled substance. As a consequence, the district court modified Harris’ supervision to add a search condition. Two months later, a Probation Officer made an unannounced visit to Harris’ reported residence, but Harris and all but a handful of his belongings were missing. Harris was tracked down at a relative’s residence the same day and arrested for violating his supervision conditions. The Probation Office then petitioned for revocation of Harris’ supervised release based on four alleged violations: (1) failure to answer the Probation Officer’s questions truthfully, (2) failure to notify the Probation Office of a change in residence, (3) selling narcotics in violation of state law, and (4) committing third-degree assault in violation of state law. At the outset of the revocation hearing, the district court (Preska, J.) granted the government’s motion to admit the assault victim’s out-of-court statements through law enforcement witnesses, citing the victim’s professed fear of reprisal for testifying and the reliability of her statements to 911 and law enforcement. After hearing testimony on Harris’ alleged assault and narcotics trafficking violations, the court found that Harris had committed those offenses; the government then moved to dismiss the other two violation charges, which the court granted. The district court revoked Harris’s supervised release and sentenced him to another term of imprisonment. On appeal, Harris argued that under the supervision revocation statute, 18 U.S.C. § 3583(e), a district court can revoke or modify supervised release based on a particular violation of his supervision conditions. Therefore, because the court had already modified his supervision based on the narcotics trafficking offense by adding a search condition to his supervision, that same offense could not double as the predicate for revoking his supervision. The panel was unmoved by this contention. In examining the statutory context, the panel found that Congress did not intend “to preclude district courts from revoking supervised release following modification whenever both actions are informed by the same conduct.” This is evidenced by “the different charge and proof burdens” Congress assigned to modification and revocation – i.e., modification is permitted even when no particular supervision condition is charged or found, while revocation is authorized only upon proof by a preponderance of evidence that a charged condition of supervision has been violated. Moreover, categorically disqualifying conduct from serving as the basis for revocation if it already supported a modification would be irreconcilable with statutes that call for mandatory revocation upon a finding of crimes like drug-possession violations and with the statutory prescription that deterrence and public interest factors be considered when revocation is at issue. Having rejected Harris’s statutory-interpretation argument, the panel addressed Harris’s challenge to the assault victim’s out-of-court statements as inadmissible hearsay. The panel began its analysis by noting that revocation does not implicate the Confrontation Clause. Instead, Federal Rule of Criminal Procedure 32.1(b)(2)(C) confers upon a revocation defendant qualified confrontation rights that may be overridden upon a “interest of justice” or “good cause” finding – i.e., hearsay statements may be used against a defendant if the reasons for not producing a witness and the reliability of her statements outweigh the defendant’s interests in confrontation. Using that balancing-test framework, the panel found no abuse of discretion in the district court’s admission of the out-of-court statements. Even though Harris never directly threatened the witness, she felt threatened, and given that she had already once been retaliated against for taking action against Harris (namely, when he punched her after she confronted him during the assault) and resided in the same neighborhood as Harris, there was sufficient ground to anticipate a “possibility of reprisal” if she were to testify. In addition, the victim’s statements to 911 and law enforcement were sufficiently reliable given their temporal proximity to the assault, the corresponding injuries she sustained, and the consistency of the account she relayed to multiple law enforcement officers on separate occasions. The defendant’s statutory-interpretation argument has some logical force to it. Somewhat analogous to double jeopardy (which Harris specifically stated he was not contending on appeal), it is not hard to imagine a system in which a defendant may not be sanctioned more than once for a single violation of conditions. In general, where statutory language is clear, courts should apply the statute as written, even if it leads to a result that some might consider unfair. To be sure, there are times when defendants lose an appeal because the statutory language is clear, even if it works a hardship or seems unfair. See United States v. Broxmeyer, 699 F.3d 265, 285 (2d Cir. 2012) (Raggi, J.) (invoking “plain meaning” canon in rejecting defendant’s (and dissenting Chief Judge Jacobs’) interpretation of what creates a “pattern of activity involving prohibited sexual conduct” under the Guidelines and holding that “‘two’ means two, not three; and ‘separate’ means the two occasions must be separate from each other, not that the two occasions demonstrating a pattern must be separate from (and in addition to) the crime of conviction”). This principle should be a two-way street, and anything less at this “disjunction junction” addressed by the Court would be unfair. Moreover, the court might have looked to the rule of lenity, which would have supported a different outcome here, in favor of the defendant. See, e.g., United States v. Valle, 807 F.3d 508, 526-28 (2d Cir. 2015) (in “cannibal cop” case, applying rule of lenity to interpret the Computer Fraud and Abuse Act (CFAA) so as not to criminalize an employee’s use of his work computer for personal purposes as “exceed[ing] authorized access”); United States v. Pierce, 785 F.3d 832, 846-47 (2d Cir. 2015) (invoking rule of lenity to remand for re-sequencing of convictions and correspondingly shorter sentence because Section 924 is ambiguous as to how convictions should be ordered). Finally, it seems unlikely that the statutory ambiguity here will be resolved by Congress, which does not frequently go out of its way to aid those who have been convicted of a federal crime and are now under court supervision.